Imagine braving blizzards where the cold is a numbing –45 below zero, or climbing to altitudes on mountains that make most people sick. Imagine hanging out of an aircraft being propelled at breakneck speeds or looking into the eyes of an Alaskan brown bear from only a few feet away. Most of us can’t even imagine what these intense environments are like, but for high-risk photographers this is their OFFICE! And Jim Oltersdorf should know – he’s been doing a high-risk photographer for over twenty-five years. Inspired as a young boy in Michigan climbing trees, Jim has always been interested in finding daring new ways to look at life. Jim has embraced the confrontational environment that has allowed his work to flourish. 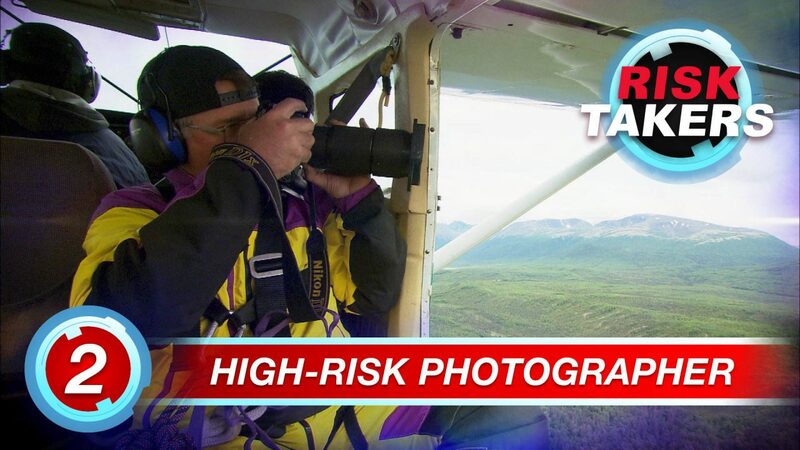 Responsible for taking the breath taking photos in some of the world’s most popular outdoor magazines – National Geographic, Outdoor Life Magazine, Flight Journal Magazine and AOPA Pilot – there is no such thing as “out of bounds” for Jim. Whether he’s repelling down glaciers, hiking through the rugged wilderness, or hanging from an airplane – Jim regularly puts his life on the line to ‘get the shot’.